I really enjoyed this empowering story of a young man’s journey from hardship to success! 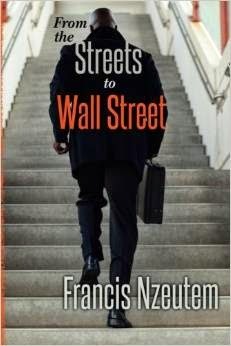 "From the Streets to Wall Street" begins by giving the reader insight into the lives of Francis’ parents before shifting the focus to Francis’ life. Francis' early life was filled with struggles, from being abused by his parents to facing racism. But he was determined to survive the challenges. His drive allowed him to achieve success in school and sports at a young age; he even was involved with the early black music scene in French. His insight into black culture in France is fascinating. Francis eventually moves to the US where he climbs the corporate ladder, never quitting regardless of the obstacles in front of him. A recommended read if you want something to inspire you!